Hi lovelies! 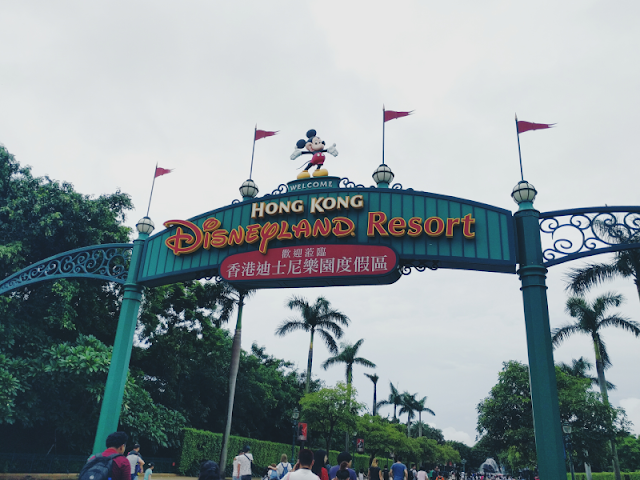 I'm definitely no expert when it comes to Hong Kong Disneyland as I've only been once on our trip to Hong Kong in September but when it came to booking and researching our trip there seemed to be very little information out there. So today I thought I'd share a few things I learnt from our visit in the hopes it might help anyone who is thinking of going soon! 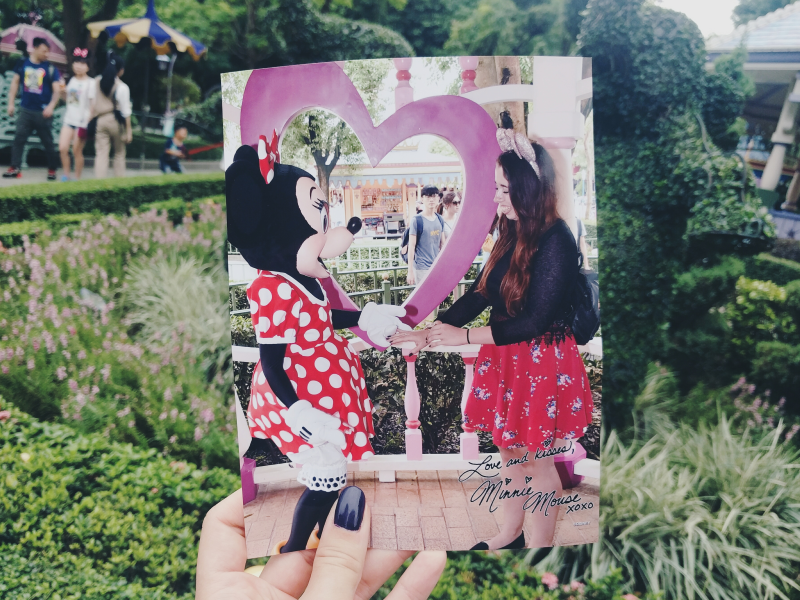 The ticket prices for HKDL are quite expensive (we paid around £54 each) and unfortunately there doesn't really seem to be anywhere you can get them discounted. The only place I came across was Klook where they were offering them about £4 cheaper but I'm not sure if you get a physical ticket through them. Quite honestly, I wanted the physical tickets to take photos with haha (see above...!) so we ended up booking through HKDL's website. Just remember to bring some ID when you come to collect your tickets - I completely forgot mine but luckily the Cast Member still let us in! Stupidly we didn't research on when the best time to visit Hong Kong was and ended up going in monsoon season and getting rather wet! A local told us that apparently the best time to visit HK is actually March or November so if you're able to plan your trip for then it shouldn't be as hot or at risk of a monsoon! Also make sure you visit mid-week when the children are in schools as it's a lot less busy. We went on a Thursday and it was so quiet! Related to my last point, make sure you do the more popular attractions before schools finish around 2pm as it gets a bit busier after this time with families entering the park. 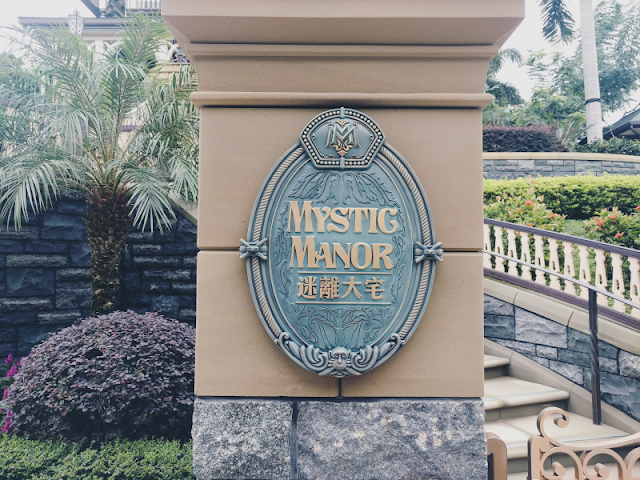 We were able to walk onto every ride before 2pm with absolutely no queues at all! If you want to save your spending money on the day, you can buy meal vouchers before you visit. There's two different types of voucher: a 2-in-1 meal coupon which is available discounted from Klook or a 3-in-1 coupon which can be bought from HKDL's website. The 2-in-1 meal coupon includes a meal and drink plus an additional drink from a snack cart whereas the 3-in-1 meal includes two meals and drinks, plus an additional snack from a snack cart. The 3-in-1 voucher unfortunately works out at over double the price of the 2-in-1 voucher so we ended up going with the 2-in-1 one. Due to the weather and the evening parade not being on when we visited, we were only in the resort from about 10.30am until 6.30pm and found that the 2-in-1 voucher was more than enough for us! You can buy a day PhotoPass for your trip (PhotoPass+) but when we went there didn't seem to be many photographers around the park so I'm not sure how great in value that works out at. However where there were photographers (next to characters etc.) if you have your photo taken by them they'll give you a little card which you can scan on their app and preview the photos on afterwards! I believe they store the photos for 24 hours so keep hold of any cards you get and then when you're back at your hotel you can look at your photos in peace and purchase any downloads to your phone that you like! You can also get photos printed out in the park while you're there. There we go! 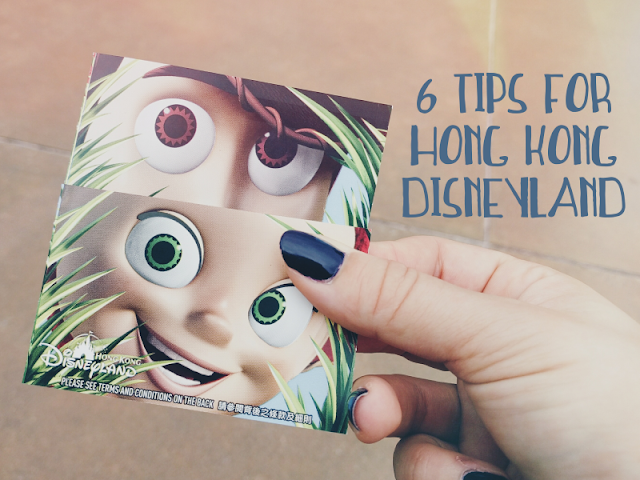 Hope this helps anyone who's thinking of visiting Hong Kong Disneyland! Update: Emily asked me on Twitter how many days you need to visit HKDL and I realised I completely forgot to address it in this post! We were only there for one day and while we managed to get loads done, I'd definitely say that HKDL is more of a two-day visit if you're a huge Disney fan and want to get everything crossed off your list!